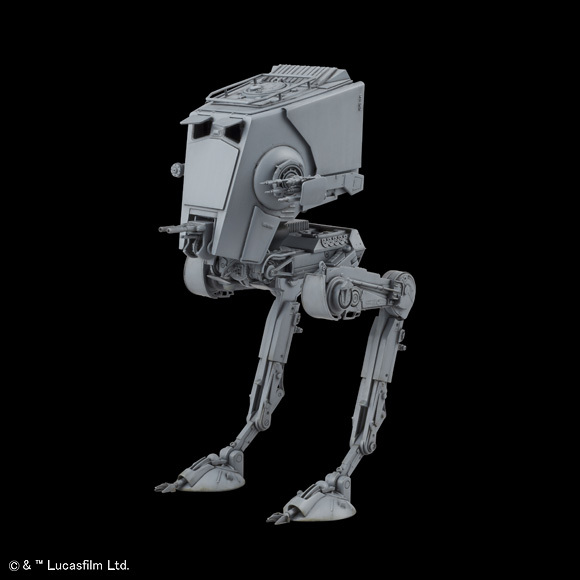 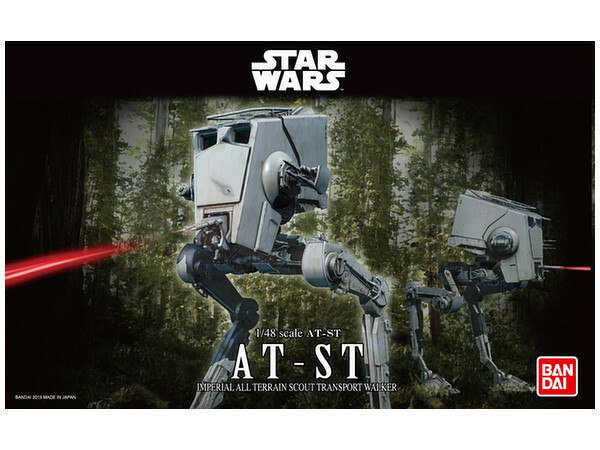 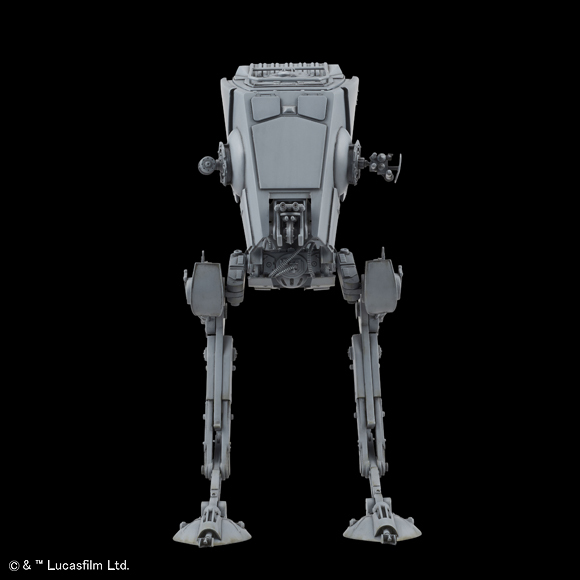 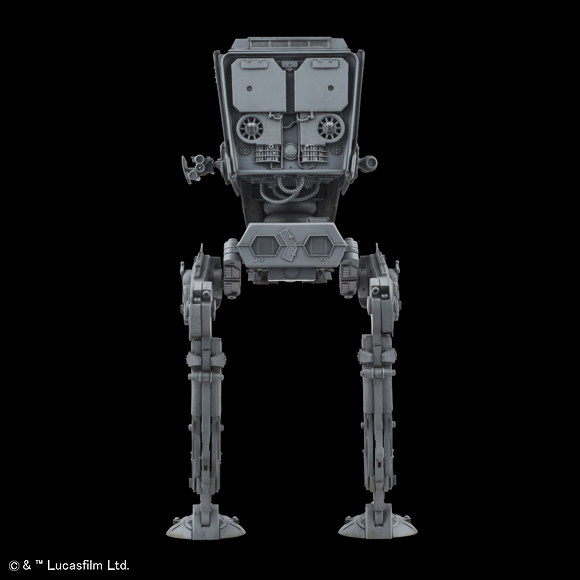 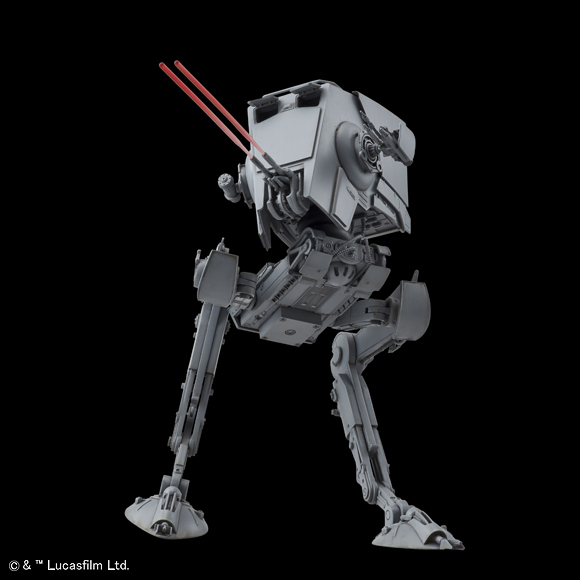 The AT-ST -- or the All Terrain Scout Transport -- is joining Bandai's lineup of exciting Star Wars kits! 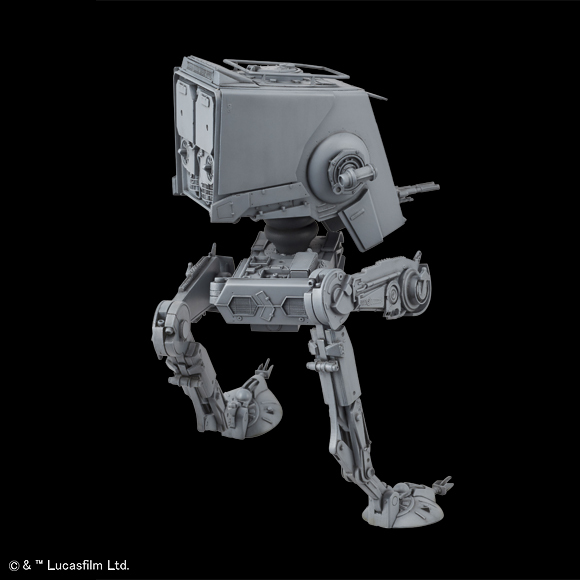 Add a little more mechanical flair to your Star Wars collection with the Empire's "chicken walker." 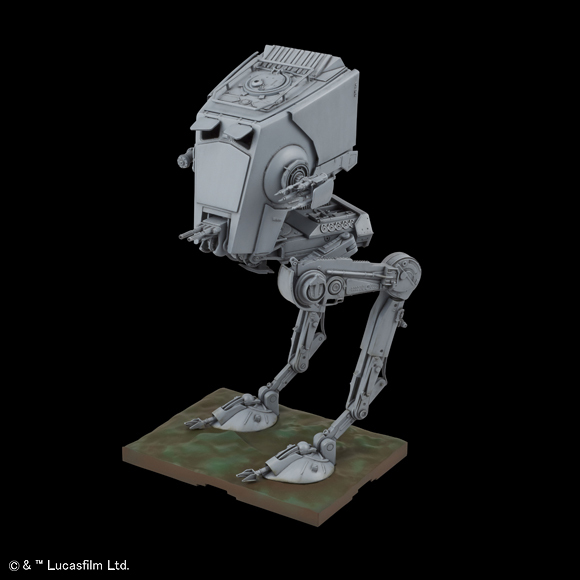 You might want to keep this one away from the Ewoks. 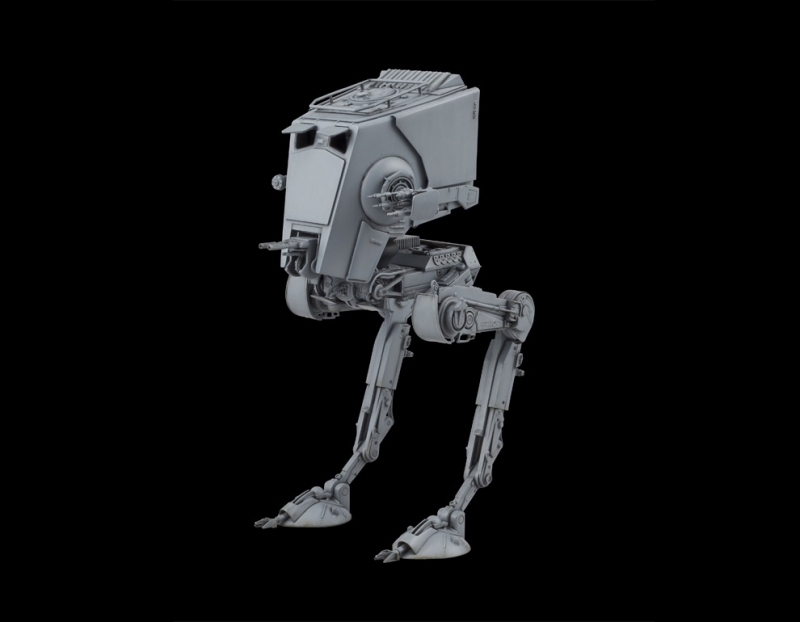 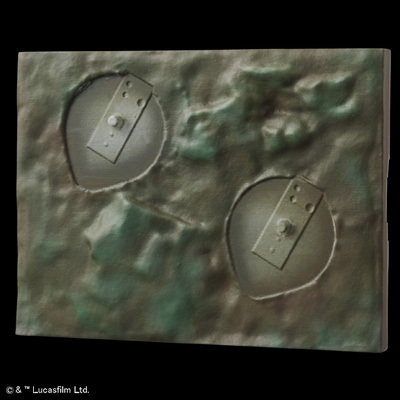 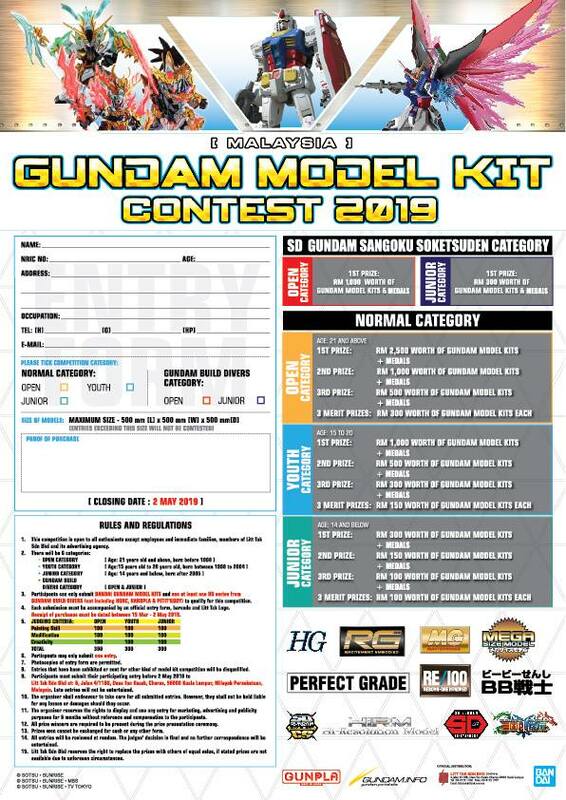 This snapfit kit consists of parts molded in grey and brown plastic, and includes a Wookiee figurine, pilot figurine, red effects parts, and display terrain base. 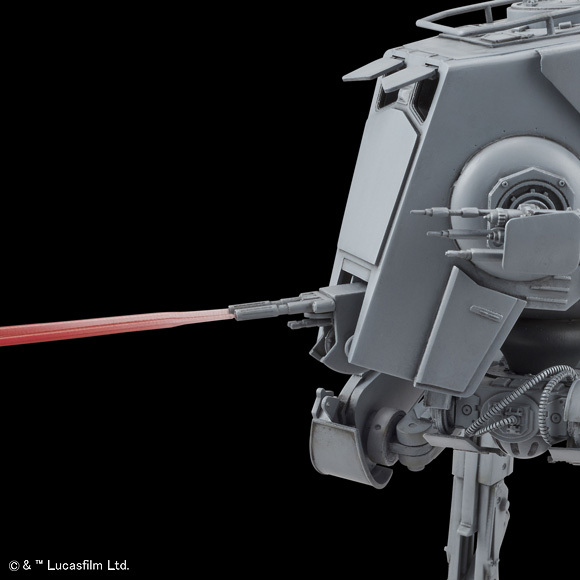 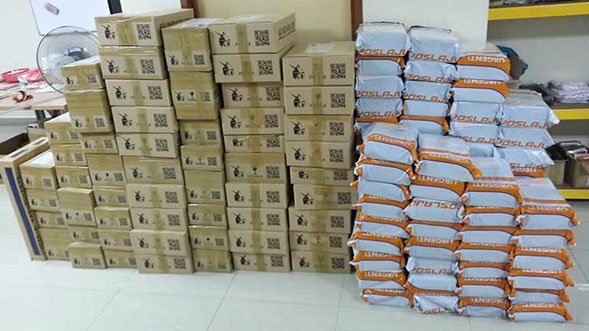 Also included are markings as both stickers and water-slide decals.